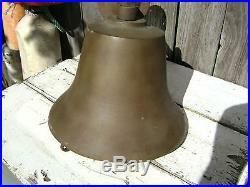 This is super rare 12 inch Perko bronze bell we aquired at a local estate sale. 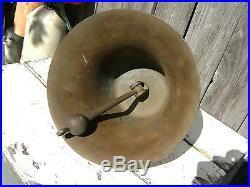 Just the bell measures 12 inches wide and the entiire thing is 10+1/2 inches tall. 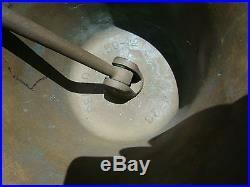 It has PERKO and numbers in the bell that are raised in the bronze, A-23 and 150-12. The mounting plate measures 5+1/4 inches across. 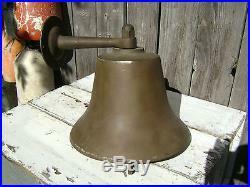 This bell has little wear and would be great for a restoration project, collection, or decorating a nautical room. It weighs 28 pounds by itself and weighs 32 pounds boxed up!!! 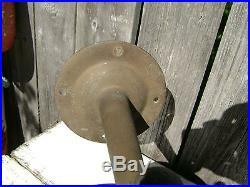 You are purchasing the bell and mounting arm only and not anything in the background. Be sure to check out our other beachcombed items! We have a ton right now! New items will be listed daily for the next few weeks! 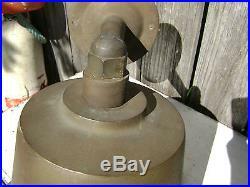 The item "RARE 12 INCH PERKO BRONZE BRASS FOG SIGNAL BELL SHIP BOAT YACHT SAILBOAT SAIL" is in sale since Tuesday, June 04, 2013. 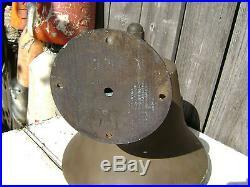 This item is in the category "Antiques\Maritime\Bells & Whistles". 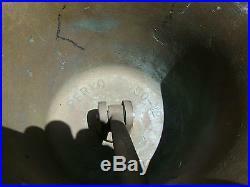 The seller is "pumpkins699" and is located in Puyallup, Washington.